Home » News » Meet Carl! This is just a quick few words from me about who I am, why I work at Open Theatre Company, and some of what I hope to do with my time here! First things first, my name’s Carl. I’ve been working in the creative sector for the past 7 years, since leaving sixth form college. I’m a poet and writer, sometimes I perform those poems behind microphones and people clap for them. I’m also a project manager, and I’ve run lots of various little projects, usually involving young people, leadership and writing. I’m a data lover, my idea of an evening well spent is building a well-organised spreadsheet. It’s that love of data, mixed with a passion for young people and leadership, that brought me to Open Theatre. I work as Associate Director of Research & Digital, which nearly means I get to work with spreadsheets all day. It actually means I get to spend a lot of time in workshops, trying to understand what we’re doing well and what we could be doing better. I’ve got a few main goals: one is to try and improve how work with young people with learning disabilities gets evaluated. If forms are bad in a verbal setting, they’re laughably unusable when working nonverbally. So I want to try and understand how young people prefer to communicate, and build new tools around that. 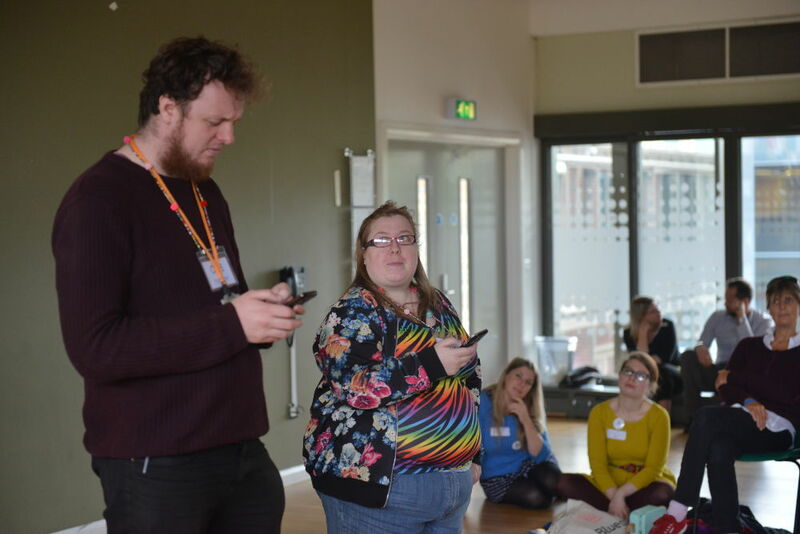 Hopefully by understand that, we can also change how arts organisations have their meetings, so that young people with learning disabilities can participate fully in decision-making all the way up to board level.